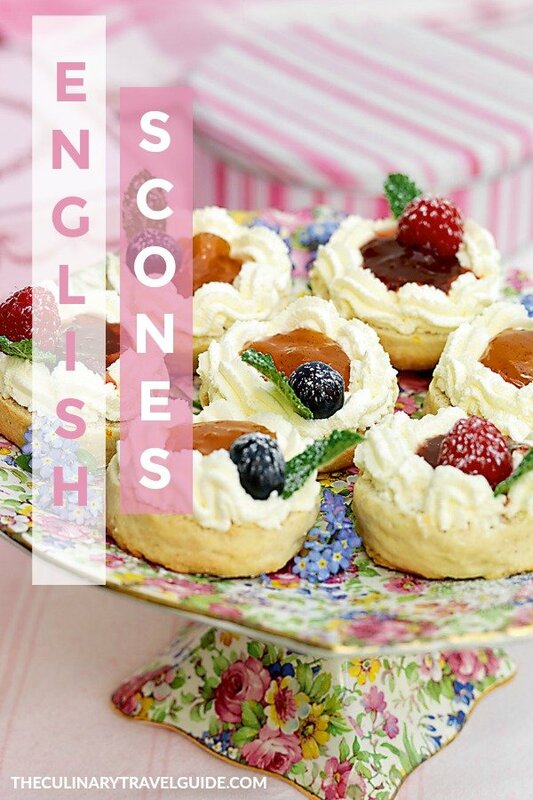 Carolyn Robb, the former personal chef to Prince William and Prince Harry, shares her recipe for proper English scones. One of the abiding memories I have of the garden parties that I attended at Buckingham Palace is of the mountains of cream scones and cucumber sandwiches. Forevermore, scones will be synonymous with garden parties for me. This is my favorite recipe for scones and my advice is to eat them fresh from the oven and never to stint on the cream and jam! Sieve the flour, sugar, salt, and baking powder into a large mixing bowl. Rub the butter into the dry ingredients using your fingertips, until the mixture resembles breadcrumbs. Make a hollow in the center of the ‘crumbs’, finely grate the orange zest into it and pour in most of the liquid. Add in the remainder later if the dough seems dry. Traditionally, a small round-bladed knife or palette knife is used to mix the dough. You want to achieve a lightly-bound dough that is neither sticky nor dry and crumbly. Lift the ball of dough onto a floured surface and knead it just 3 or 4 times to get rid of any cracks, working quickly. If the dough is overworked it will result in ‘tough’ scones. For fruit scones, add in 60g (⅓ cup) sultanas or raisins at Step 5. For savory scones, replace the vanilla, orange zest, and sugar with 60g (½ cup) of grated mature cheddar cheese and 15ml (1 tablespoon) finely chopped chives, added in at Step 5; top with a little extra cheese and a light dusting of paprika. The Royal Touch is a beautiful compilation of stunning recipes gathered from far and wide on an incredible culinary journey. It is one that has covered three continents over several decades and has taken in many a royal palace along the way. Carolyn Robb, the former personal chef to TRH The Prince and Princess of Wales, Prince William, and Prince Harry, presents the food that she loves to serve to her family and friends; food that is fit for a king, yet is accessible to us all.